Visits to the Bulgarian Orthodox Cathedral (1912) dedicated to Sveti Alexander Nevsky and the Gallery of Old Christian Art in the Crypt, Sveta Sofia Church (6th century) and the Church Underground Museum, the Eastern Gate of Roman Serdica (2nd century CE). While walking, the group will pass by the National Assembly (1880s), the Bulgarian Academy of Sciences (1869), Sofia University (1888), the National Gallery of Foreign Arts, the Tsar Osvoboditel Boulevard famous for the yellow brick pavements, the Old Royal Palace (1879) which today houses the National Art Gallery, the National Theater (1904), the Russian Orthodox church, the Central City Garden, the Governmental square, Sveti Georgi Rotunda (300s CE), Sveta Nedelya Church (1930), the Ottoman Banya Bashi Mosque (1576), the Sofia Synagogue (1909), Sofia City Museum and Central Baths (1913), Sofia Central Market Hall (1911), remains of the Roman Amphitheater of Serdica as well as the National Archaeological Museum. 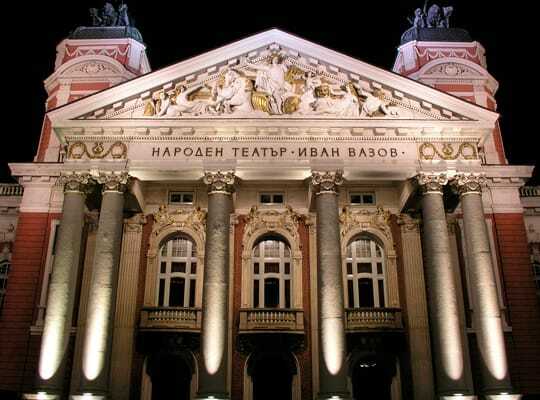 Sightseeing tours of Sofia's main squares, the Bulgarian Orthodox cathedral "Sv. Alexander Nevsky", Sveta Sofia church, the 1700-year-old Sveti Georgi Rotunda church, the ruins of Roman Serdica's town square, city gates and other. The National Museum of History and Boyana Church (UNESCO World Heritage Site). The medieval Bulgarian Orthodox church, situated on the outskirts of Sofia in the Boyana district, was built in three stages: in the late 10th to early 11th, the mid-13th, and the mid-19th centuries. The oldest section (the eastern church) is a small one-apse cross-vaulted church with inbuilt cruciform supports. It was built in the late 10th or the early 11th century. In 1979, the building was added to the UNESCO World Heritage List. In the same district is Bulgaria's largest museum the National Museum of History, which currently contains over 650,000 objects connected to archaeology, fine arts, history and ethnography, although only 10% of them are permanently exhibited. 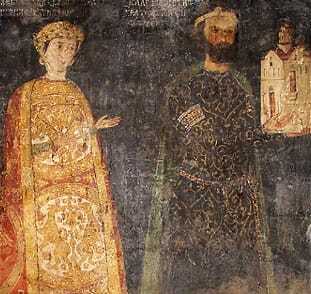 Sightseeing tours of the northern parts of Vitosha, the National Museum of History and the Boyana Church.